Is Your Lexington Heat Pump Acting Up This Summer? 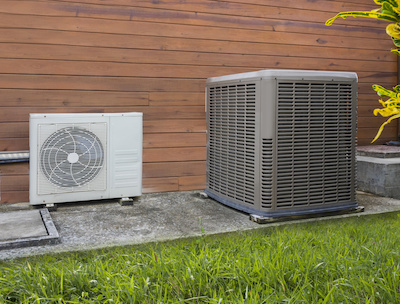 Lexington homeowners love their heat pumps for the efficient cooling they provide through the summer months. Unfortunately, as with any mechanical system, a heat pump may experience performance issues at some point. Here are four checks to keep in mind if your heat pump starts to malfunction in the warmer months. If the heat pump simply won’t turn on, a break in the electrical supply is the most likely culprit. Check the thermostat to ensure it is set properly and the main electrical panel to see if the circuit breaker might have tripped. Also look to see if there are frayed wires around the unit. Since a heat pump works by moving heat from place to place, problems with the movement of air can be the result of any of the following issues. An inspection by a professional can identify the problem. If you’re hearing strange sounds, pay attention to what kind of sound it is. Rattling? Loose hardware or a register out of place could be causing the racket. A simple tightening may be enough to fix. If the sounds are more like grinding or squealing, the motor bearings may be wearing down. The air handler of your unit contains multiple oiled bearings with the sole purpose of reducing friction to minimize heat in the motor. As those bearings wear out, they will eventually fail and the motor may overheat and even burn out. Look to replace them before that happens. If the unit seems to be running well except the air isn’t coming out cold, it may be low on refrigerant. This fluid goes back and forth from the indoor unit to the outdoor one, so a leak in the line will cause a noticeable difference in cooling. If you see liquid dripping from the pump, that’s a sign that there may be leakage. Get in touch with a professional to refill it to proper levels, as well as find and repair the source. The EPA has labelled most refrigerants as hazardous materials that require the meticulous handling of an expert. 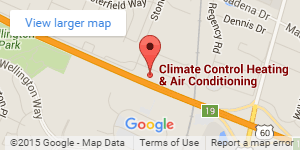 Call Climate Control of Lexington today to address problems with your heat pump. We know comfort is important in the summer so we offer 24 hour emergency service. 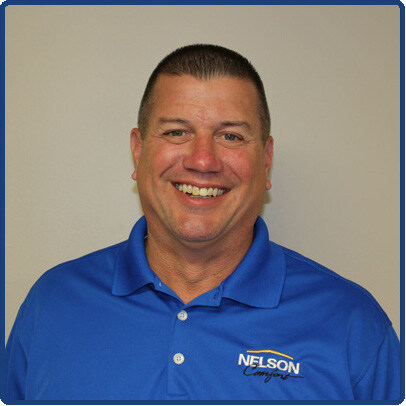 Our NATE-certified professionals will help get your system running smoothly again. Dan Detmer is the owner of Climate Control Heating & Air Conditioning. Dan was born into the heating and cooling industry, coming from a family of well respected HVAC contractors. After working in the family business, Dan decided to work for a local HVAC wholesale business helping local contractors grow their business. When he felt his heart moving him back into the residential and light commercial business, Dan purchased Climate Control Heating & Air Conditioning based on their strong reputation in the Lexington community.If you have any questions feel free to tweet @HVACClimate and we will get right back with you! Our team is growing! Looking for a career in the heating & air conditioning industry? Join our team!Apply Today!